Big, sweeping change is hard. If we crash diet, it comes back. If we try to go cold turkey on TV, we end up binge watching three shows the first rainy day. If we try to cut all sugar out of our diet all at once, we eat the next Snickers we come across. Trying to drink more water? Going from none to half your body weight in ounces overnight will leave you tied to the house peeing every five minutes and swearing off drinking anything ever again. If we want big results, we need to start small. Drink one extra glass of water a day, then two, then an extra stainless steel bottle worth. Before you know it, you will develop a habit of carrying it with you and you’ll easily stay hydrated. I’m on a mission to change the amount of plastic in our home, reduce the number of toxic chemicals in my household cleaners, eat more whole food, and reduce my families exposure to potentially harmful chemicals in our personal care and cosmetics. My partnership with Beautycounter, a close friend who introduced me to NORWEX (the envirocloth and mop eliminated chemicals from my cleaning), I learned to make my own yogurt, use glass to store food, I love Bee’s Wrap instead of plastic wrap and just got the rest of the seeds to plant the garden just the other day. Instead of expecting myself to make organic smoothies with 16 different ingredients, I grab a packet of Daily Lift for on the go. It’s a small step. It makes me feel better and tackle my day with more energy, which in turn leads to other good choices. When I’m not ravenous, I make better food choices, take more time to cook something instead of nuke it, and snack less. 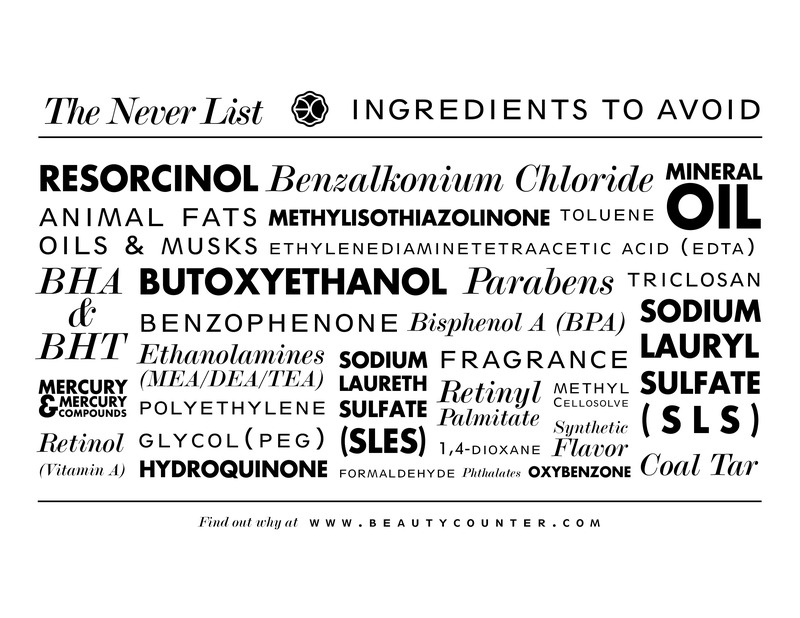 None of these things will change the world overnight (though Beautycounter is out to change the personal care and cosmetics industry by seeking more regulation and cleaner products). All of these steps make a difference in my life, my family’s life and our influence will trickle down to our friends, family, co-workers and others, If everyone brings their own coffee cup to Starbucks, you’ll make 23 fewer pounds of waste a year. Small steps, continual progress, change the world!